If you want to make sure that you have a steady income from binary options trading, you should try CarbonFX. The best thing about this company is that you will find some excellent advice on how to earn money step by step. The biggest mistake people make is that they usually ignore this advice and rules which are given to them because they think that they are stupid or unnecessary in their goal for increased income. This will usually lead them to lose a lot of money. If you want to earn a lot of money and you want to earn it as quickly as possible, you will have to wait a little longer to become an experienced broker. Easy money was never easy so to speak. If you want to earn a lot of cash, you will have to obey certain principles. This is the most important thing in a life of a broker. If you want to understand how this system works, you will need to understand that there are some determined rules which you must follow if you don’t want to lose money. Of course, when starting out, you will lose money because you are a beginner and you will need some experience to be a broker. That is a toll you need to pay. But when you start earning, you will see that it is a working system. This system will help you to increase your profit, but you can also lose your invested money. The big deal about this system is that you can earn a lot of money if you are disciplined with the ways you play so to speak. Don’t be reckless like the rest who lost their money because they didn’t listen. The goal in this area of business is that you need to be patient. Some people call this thing a gambling system which is not far from the truth. The main idea is that you invest some money in whatever option you want and you just wait and see the results. The difference in winning and losing can be determined by your evaluation of a different combination. If you want to make sure that your losses will be at the minimum, you will need to gain a lot of experience in this job. 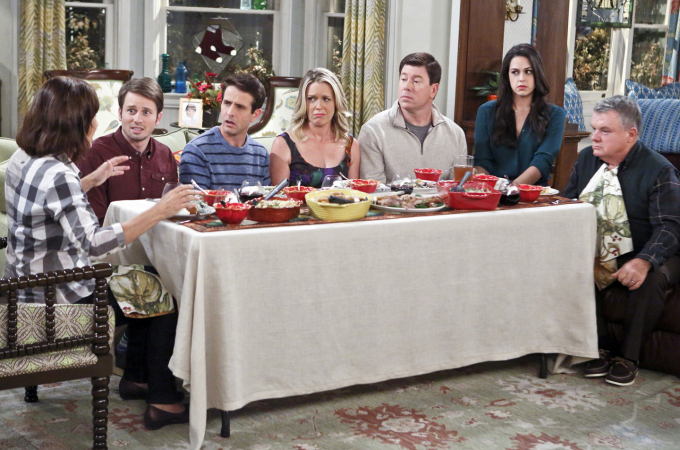 CBS has pulled modestly rated freshman comedy “The McCarthys” from its Thursday line-up immediately and will replace it in the 9:30 p.m. half-hour with encore telecasts of “The Big Bang Theory” over the next two weeks. As planned, “Two and a Half Men” will conclude with a one-hour episode on Thursday, Feb. 19 from 9-10 p.m. ET. Leading into the finale at 8:30 p.m. will be the series debut of “The Odd Couple” reboot, featuring Matthew Perry as sloppy Oscar Madison and Thomas Lennon as neat freak Felix. One week later on Feb. 26, current Thursday 8:30 p.m. time period occupant “Mom” moves to 9:30 p.m. ET out of encore telecasts of “The Big Bang Theory” at 9 p.m.
Debuting on Oct. 30, 2014, only 11 of the 15 ordered episodes of “The McCarthys” have run. There is no word when – or if – the remaining four episodes will air. The most recent telecast on Jan. 29 averaged 7.11 million viewers and a 1.6 rating/5 share among adults 18-49 (out of 9.71 million viewers and a 2.3/ 7 in the demo for lead-in “Two and a Half Men”), based on the Live + Same Day data.